The Apollo moon landings are well documented from a political, technical, and scientific point of view. However, whilst many of the photos taken on the surface of the moon are iconic, some of the photography background is less well known. Keith has been looking at a new book covering some of this. The specialist Hasselblad cameras used for photography on surface of the moon never returned, 12 in all. All that was bought back were the film magazines – quite reasonable given the weight saved. I’ve been keenly interested in space since watching the Apollo missions unfold in the 60’s and early 70’s – indeed I first went to university to study astrophysics. The book is a slim volume covering the history of the cameras, some of the lead up to Apollo 11 and aspects of the mission, often viewed from the perspective of the photography. Nearly half the book is devoted though to full page images, along with brief transcripts of what was being said at the time. There were photos I’d never seen before and the technical aspects filled in aspects of the mission I’d not thought about before. I’ve seen some hefty coffee table tomes covering Nasa photography, but this is one of those books that as a space and photography fan I’d appreciate as a gift. 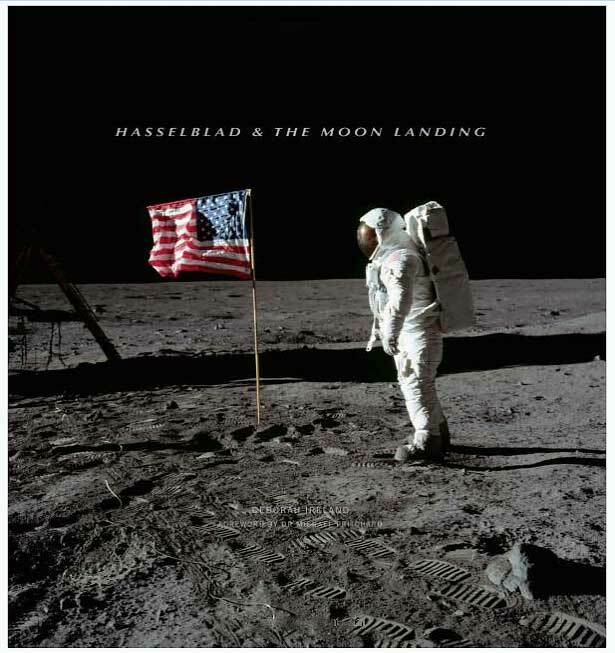 I’ve lots of books about space exploration in the 60’s/70’s but ‘Hasselblad and the moon landings’ added something new.